More and more, doctors are speaking out about rapidly rising drug prices. According to a number of concerned physicians, the costs of some common prescriptions have skyrocketed, meaning patients without insurance can't afford to get them filled. The latest to speak up is Dr. Judith Aberg, the chief of the division of infectious diseases at the Icahn School of Medicine at Mount Sinai. She tells The New York Times an old drug, Daraprim, was purchased last month by Turing Pharmaceuticals, a newly established firm. She said the company immediately raised the price of the drug from $13.50 a tablet to $750 a pill. As we reported in June, researchers at Oregon Health & Science University (OHSU) and Oregon State University (OSU) expressed alarm at the dramatic price rise for older drugs to treat multiple sclerosis (MS), even as newer drugs enter the market. "The inexplicable increase in the cost of MS drugs, particularly older, first- generation drugs, is at odds with how we think the marketplace should work,” said Daniel Hartung, lead author of the study. “A growth in the number of MS drugs should lower costs for patients. What we see here is the opposite happened: costs have risen sharply, and at a pace that's far greater than drugs in a similar biologic class." By Hartung's accounting, MS drug costs surged five to seven times higher than overall prescription drug inflation for drugs in a similar class between 1993 and 2013. Some drugs rose as much as 30% per year, he said. The dramatic rise in drug prices has not escaped the attention of two lawmakers – Sen. Bernie Sanders (I-VT) and Rep. Elijah Cummings (D-MD) -- who have introduced legislation to rein in drug prices. Cummings said some drugs have increased 1000% in price. He said the bill he and Sanders have introduced in both chambers would make drugs more affordable to more people. Cummings and Sanders outlined the legislation as a news conference earlier this month (video below). 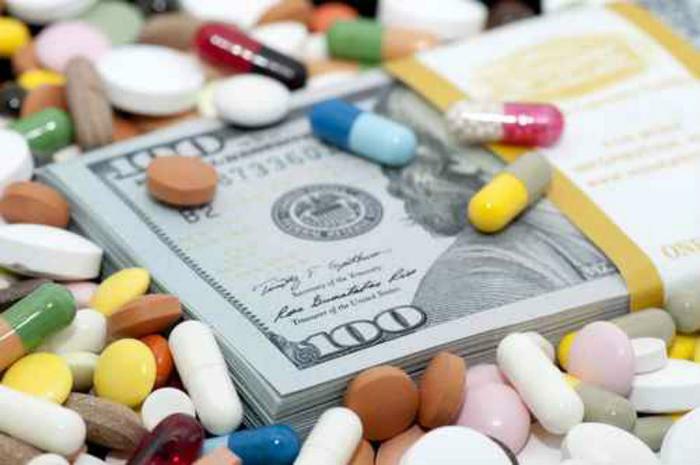 The legislation authorizes the Secretary of Health and Human Services to negotiate drug prices with pharmaceutical companies to bring down costs for drugs purchased through Medicare. The measure also includes tougher penalties for drug companies that commit fraud. Additionally, it prohibits the practice of brand name drugmakers paying competitors to keep lower-priced generic substitutes off the market and lowers barriers to the importation of lower-cost drugs from Canada.